Did you know that on just about every page of Control Panel there is a list of related Knowledge Base articles? There are a lot of articles in our Knowledge Base (318 and counting! ), and we understand that sometimes it can be difficult to quickly find exactly what you are looking for. 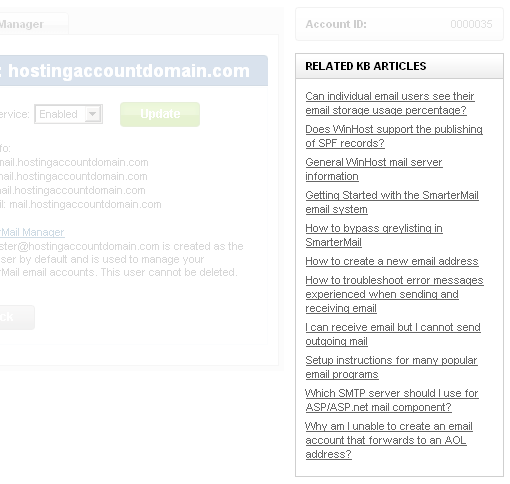 That’s why we have included a “Related KB Articles” list in many sections of Control Panel. When you are in the Email section, for example, you have direct access to the most relevant and popular Knowledge Base articles about email. Also, if you feel that there is a Knowledge Base article that is missing, or that needs updating or clarification, please let us know. We work hard to maintain the best Knowledge Base in the industry, and your help is one of our most valuable tools!